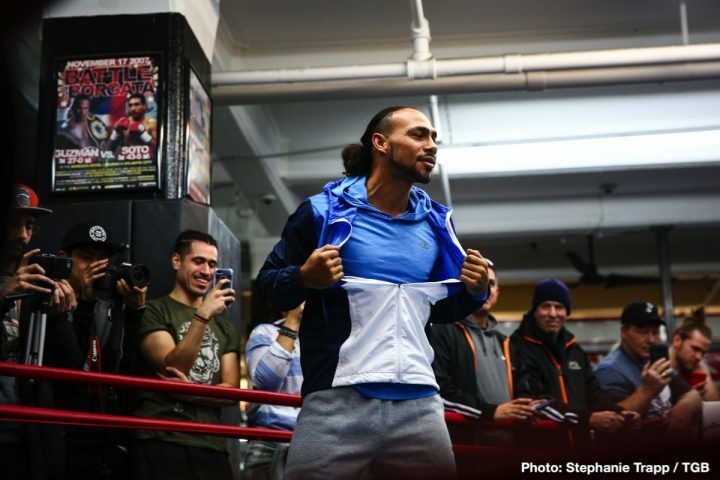 By Sean Jones: WBA Super World welterweight champion Keith ‘One Time’ Thurman (28-0, 22 KOs) is looking past his fight this Saturday night against Josesito Lopez (36-7, 19 KOs) towards a more lucrative fight with superstar Manny Pacquiao (61-7-2, 39 KOs). Pacquiao wants the money he can only get fighting Floyd Mayweather Jr. in a mega-fight. Thurman isn’t highly popular the way Mayweather, and there’s not a lot of money Pacquiao can make fighting him right now.